One of the oldest and most beautiful forms of flight was first “test-piloted” by a sheep, a duck and a rooster! In 1783 the Montgolfier brothers loaded this menagerie aboard an airship and launched it up, up and away! 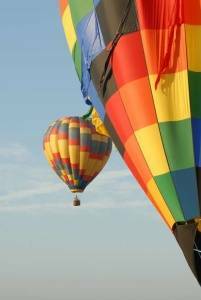 Later that year they themselves took to the skies in a balloon made of paper and silk.